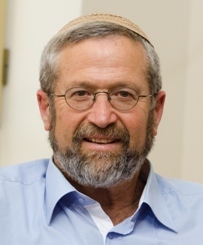 We are pleased, with Heaven’s help, to begin a new academic year at Ono Academic College with a program of studies, open to the entire public, that combines enrichment in leadership, Zionism and Jewish heritage, taught the best instructors in their fields: ethics, ‎health, Jewish-inspired law and economics. Our vision is to nurture a generation of Israeli leaders for whom Jewish heritage, society and ethics are be a guiding light. In the Religious Zionist Program ‎students of Ono Academic ‎College Address will find an address for answering all questions‏.‏If necessary, you can arrange a personal meeting‏. There are many students from religious backgrounds on campus, an appropriate religious atmosphere, with ‎social activities (tours, conferences, meetings, etc.) designed for group solidarity. ‏Periodic activities in which students meet rabbis, community leaders, ‎academics and intellectuals. ‏In this context includes a major, annual conference that ‎addresses public issues from an academic-traditional perspective.